Development Finance Institutions (DFIs) exist to promote development by investing in the poorest, least developed countries. They often route those investments via holding companies or private equity funds domiciled in tax havens. On the face of it, that seems absurd: tax havens are widely seen as a drain on development, depriving cash-strapped governments of billions of dollars in public revenue. In a new paper I argue that whilst widespread opposition to DFIs investing via tax havens is understandable, it is misguided. Banning the use of tax havens would do more harm than good. No Country-by-Country Reporting? Why Not? And If Not, Then What? CGD Europe recently published a (UK) election manifesto on development with proposals across 19 areas. One area that raised comments and feedback was the proposals on tax, which left out country-by-country reporting. I can’t speak for others who contributed ideas to the manifesto, but the reason I did not suggest public CBCR is this: I’m not convinced by it. Aid Transparency: Are We Nearly There? If you have read a newspaper in the last two weeks, you’ll know that transparency can lead to changes in policy, behaviour and even changes of Prime Minister. What do Argentina, India, and South Africa have in common with Jersey, Cayman and the Turks and Caicos? They’ve just agreed to share financial information with each other, for tax purposes. This week the World Economic Forum holds its annual meeting in Davos, Switzerland. As the great and good gather to chart the direction of the global economy, there will be much talk of development, of transparency, and of the importance of trade. In light of our new research showing that Switzerland’s recent emergence as a global commodity trading hub might hide large illicit capital flows, participants may want to raise some questions with their hosts. 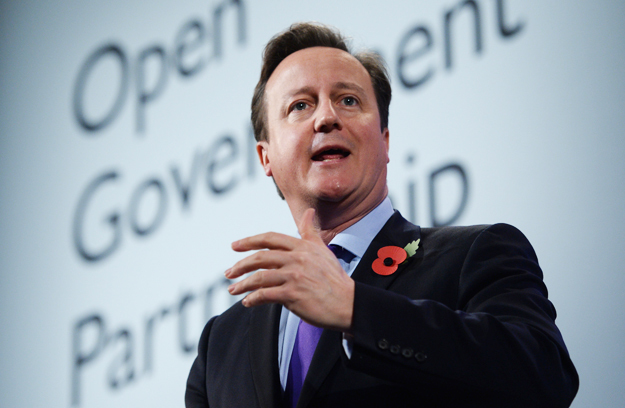 This morning at the Open Government Partnership summit in London, David Cameron announced the result of the UK’s consultation on the beneficial ownership of companies: the information will not only be collected but be put online, for free, in a public register.